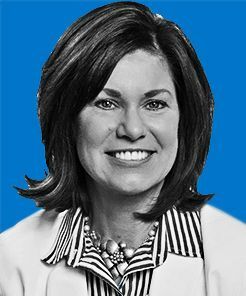 On behalf of the entire FAST family, I want to extend a warm welcome to you. Thank you for visiting our website. FAST was founded in 2008 with an urgent mission: cure Angelman syndrome. Today, with operations in the United States, Australia and Great Britain, our organization is the largest non-governmental funder of Angelman syndrome research, and we take this responsibility seriously. All financial gifts are invested wisely, and less than 4 percent of expenses are spent on general and administrative costs. Our noteworthy efficiency means there is more money to support critical research. And we don’t just write checks. FAST has set the research agenda for Angelman syndrome by bringing together a multidisciplinary team of more than two-dozen scientists from top research universities and pharmaceutical companies to join forces on a focused path to a cure. Now is the time for action. FAST’s Roadmap to a Cure is bold, ambitious, and, with your help, achievable. Please join us by making a financial gift, spreading the word with friends and family members, and fundraising to help us cross the finish line. Our ultimate goal is to successfully complete this race – and no longer be necessary – by finding a cure. 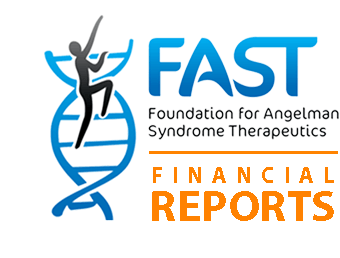 FAST is run by an all-volunteer board of Angelman syndrome (AS) parents and professionals dedicated to finding a cure for AS and related disorders through the funding of an aggressive research agenda. The foundation is committed to assisting individuals living with Angelman syndrome to realize their full potential and quality of life. Our goal is to bring practical treatment into current medical practice as quickly as possible. It is our hope that grants we fund will lead to additional research support from government agencies, other funding sources and organizations around the globe. FAST is served by two boards: the board of directors and the scientific advisory board. Together, we are working hard to bring practical treatment into current medical practice as quickly as possible. We are 100 percent committed to accelerating treatments and a cure for Angelman syndrome (AS). The symptoms of AS have been under-addressed in the research community for far too long. Research aimed at identifying treatments for the motor dysfunction, seizures and behavioral characteristics of Angelman syndrome is one of FAST’s top priorities. FAST takes pride in investing in high-risk, high-reward research grants that have already produced positive and promising results. A cure for AS is now within reach but will require the expertise and collaboration of the best and brightest minds from a variety of fields in science and research. A true research collaboration, and the infrastructure required to advance a cure for Angelman syndrome, was nonexistent. FAST addressed this challenge by creating the first-of-its-kind FIRE Initiative (FAST Integrative Research Environment), which funds more than two-dozen scientists from top universities to work collaboratively to identify, characterize and implement new therapeutics for the treatment and ultimate cure of Angelman syndrome. The FIRE Initiative is the most aggressive research program to date dedicated to finding a cure for AS. FAST is served by two boards who work together to bring practical treatments into current medical practice as quickly as possible. FAST (Foundation for Angelman Syndrome Therapeutics) is an Internal Revenue Code Section 501(c)(3) nonprofit charity, exempt from federal taxation. Transparency is both a requirement and an obligation that is also vitally important to our members. To read more information, click here.